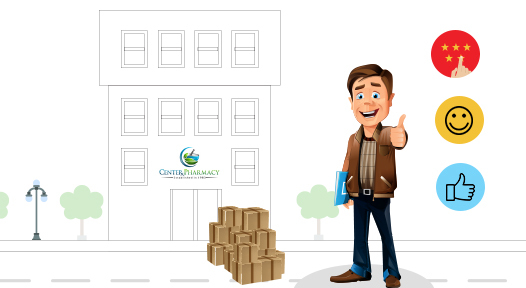 According to your consignment’s volume & weight, choose the best fit cube size or Use our calculator to find best suitable cube size for your consignment. Select the Cube, and cube comes to your place. 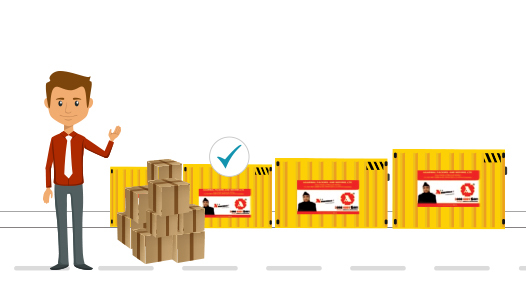 Get Your Goods loaded to your cube and protected with the Safety Net fixed in the cube. The shock absorbent pads on the floor of cubes protect your goods from all shocks and jerks on the road. 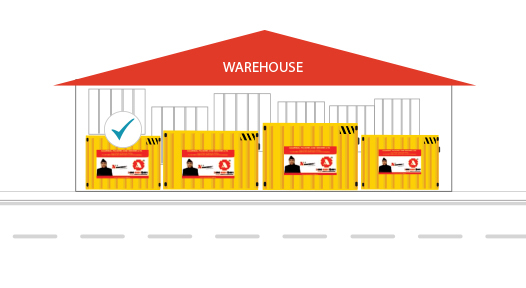 Attain assurance about the safety of your goods, against theft and pilferage and of zero transshipment by putting lock on your cube by yourself and keeping the keys with you. After Goods getting loaded and cube getting locked, Your Cube is taken to our yard on a pick-up carrier. At Yard, your cube is consolidated along other cubes having destination city same of your consignment’s destination and they all are loaded to a 32’ long carrier. Keep yourself updated about the location of your consignment every second, through our tracking facility. 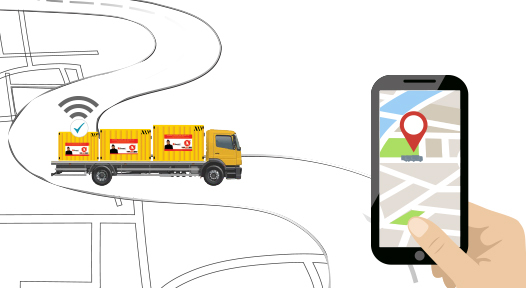 Our each and every cube is fitted with the GPS Tracking System to update you about your consignment regularly. 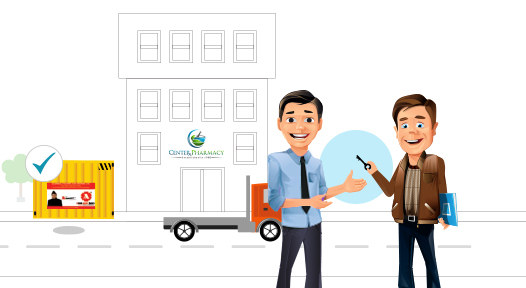 Before your cube getting delivered to you, it reaches our yard in your destination city. 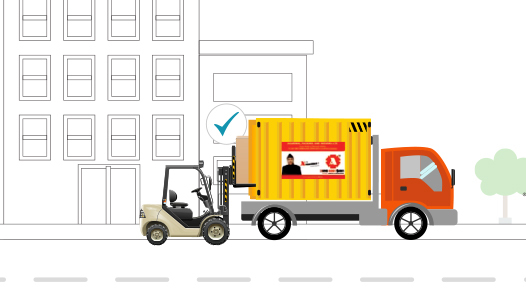 At yard, your Cube is transferred to a pick-up carrier, which then leaves for your cube delivery at your end destination. 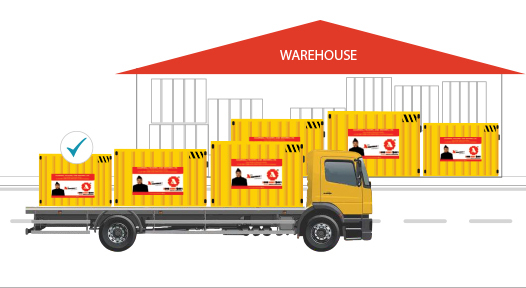 With our Trucking Cube (Container), you are given 24 Hours Cube's free storage facility from the delivery date. You can avail this facility free of cost. If you want to halt the cube more than 24 hours, then minimal charges have to be paid according to cube size and time period of halting. 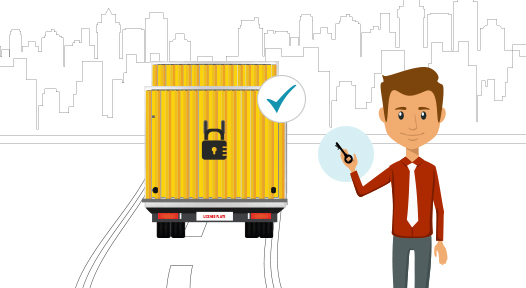 Once Cube reached your destination, you can open the lock of the cube with keys held with you since the starting of the process and ensure about safe and smart delivery of your consignment to you. We put consistent efforts to ensure safe and on-time delivery of your consignment with zero transshipment of goods during entire process. Customer’s Satisfaction and Happiness is the all, what we seek for and feel delighted for. After all, we are because of our customers.